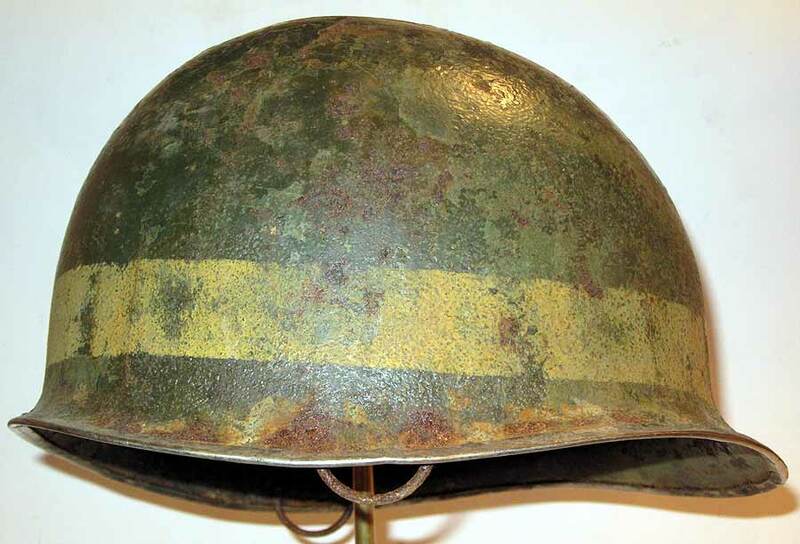 This is an original WW2 front seam, swivel bale, stainless rim M1 helmet, repainted by us in Divisional MP colour's and converted by us to a M2 D Bale. 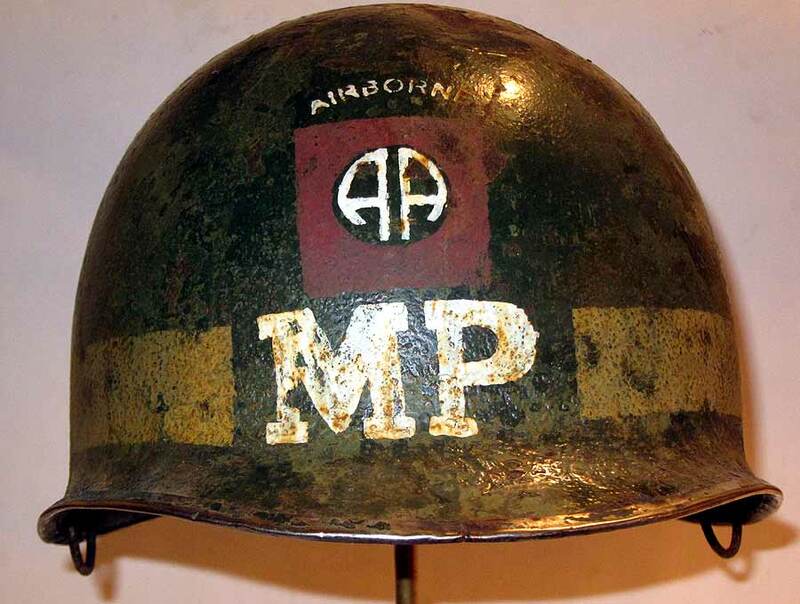 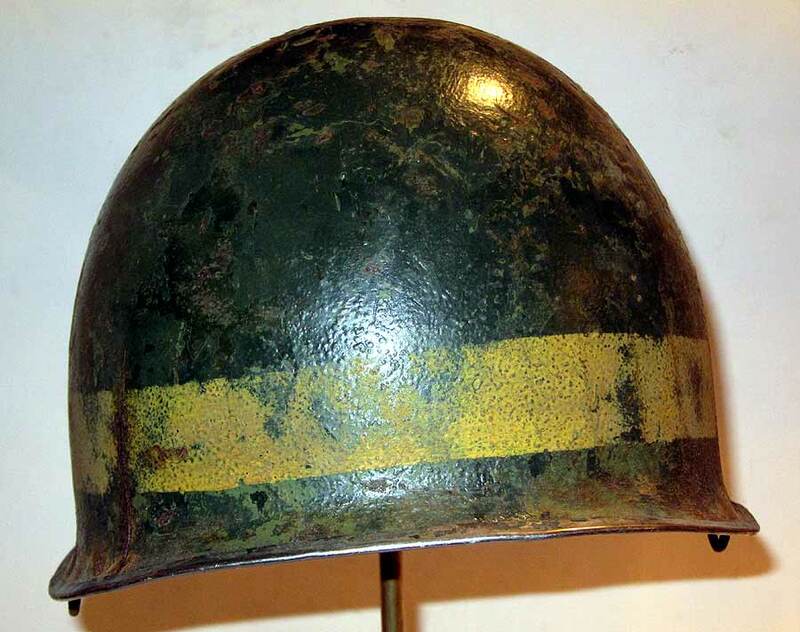 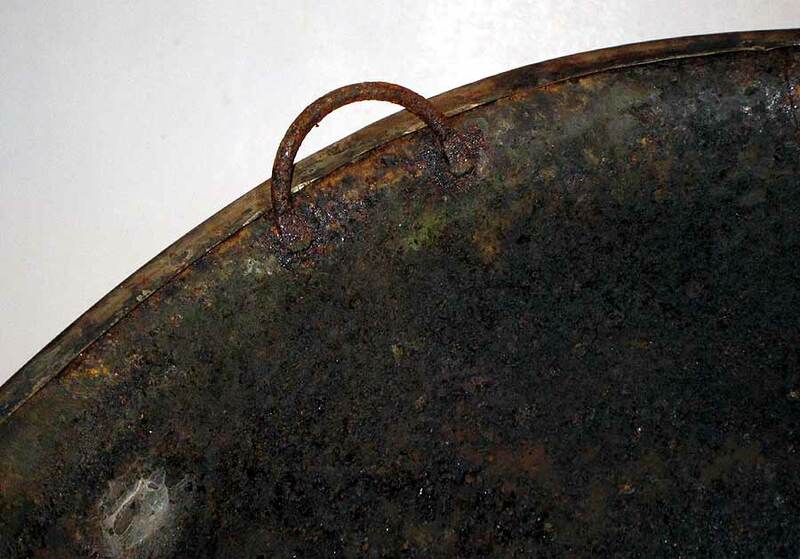 This helmet was a WW2 M1 swivel bale and its original paint has been left untouched. 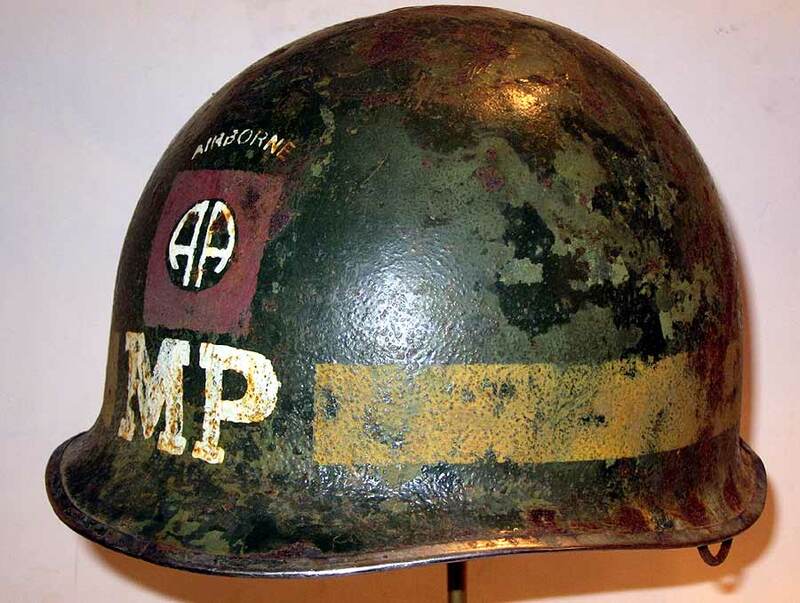 The rest of the stencils have been added and aged by us to create a battlefield found M2 Military Police helmet, taken from an original surviving example. 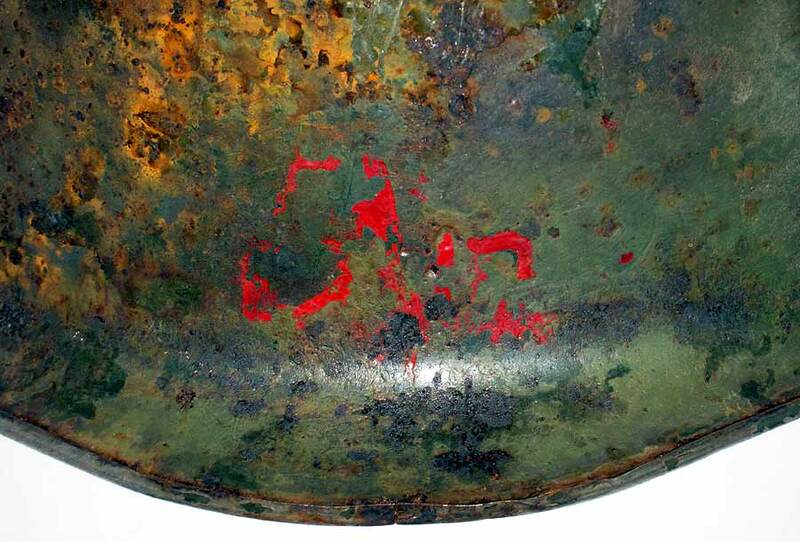 There is a marking in red on the inside shell, again this is original. 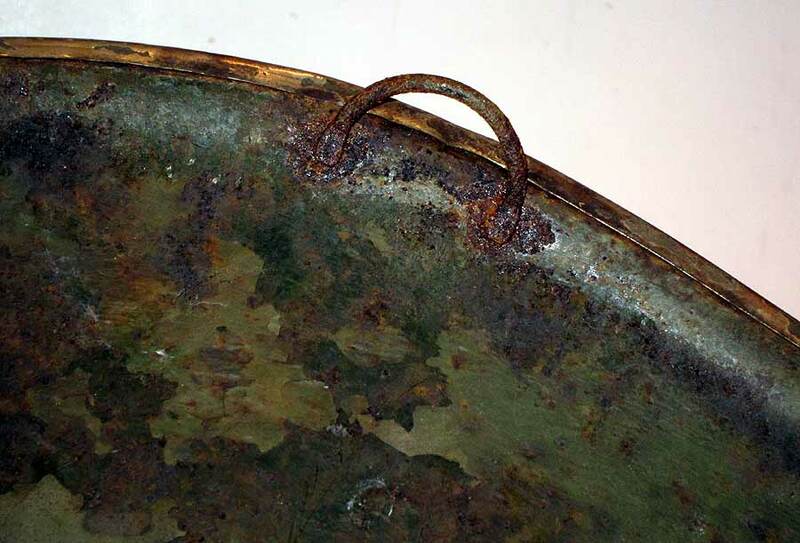 See picture below. There is no fantasy about the markings they are all based on an original helmet and the helmet itself is a WW2 M1 version. 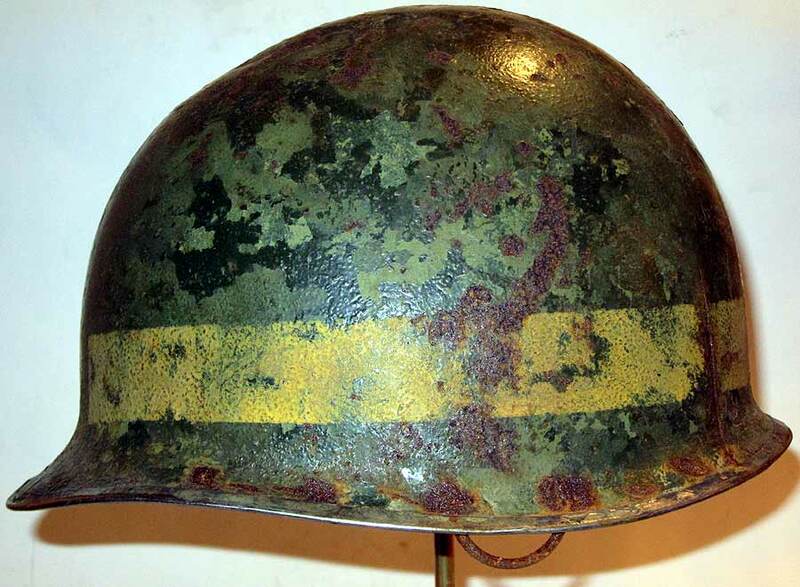 So you are getting a refurbished shell & replica bale & stencils M2 helmet which these days are impossible to find. 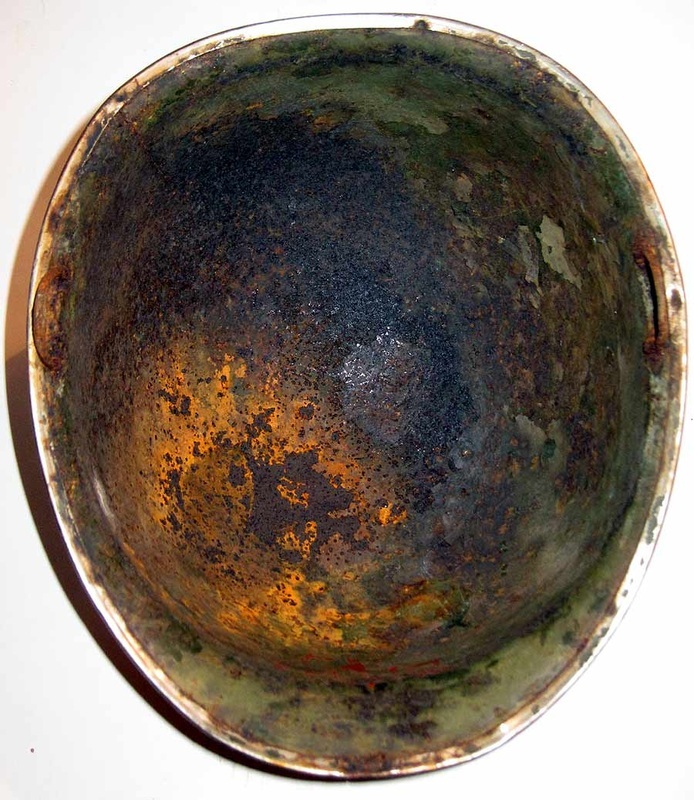 Feel free to Email us if you want a similar one made to your specification.